Everyone and their father’s sister’s roommate’s uncle is trying to get into the music licensing game. I started over ten years ago when indies were just starting to realize how accessible it was, given the right methods and avenues. Unfortunately people’s perceptions of how the system works are quite skewed, and considering how most artists are generally lazy by nature (you know it’s true), too many prefer complaining over taking the time to learn how it all works. I mean, let’s face it... it takes a lot of time and expense to perform this type of trial and error, and unless you are a trust-fund kid with ample time on your hands, how are you supposed to do it? As with everything else in life, if you want it badly enough, you will find a way. I developed my work and contacts while working full-time for someone else. It was pure hell trying to do both, and have a family with a child, but I wasn’t going to be stuck working for someone else for the rest of my life, and I had a dream of independence via music. I pulled all-nighters, did some free work, invested in quick trips that were necessary, took and continue to take criticism, lived and learned. These notions aren’t indigenous only to the beginning of the building process. They are lifelong commitments, and require constant updating. It’s the nature of the beast. So prior to trying to understand the process, one has to understand oneself. Before you lace on your hiking boots, see if you are cut out for a lifetime of general uncertainty and upward climb. 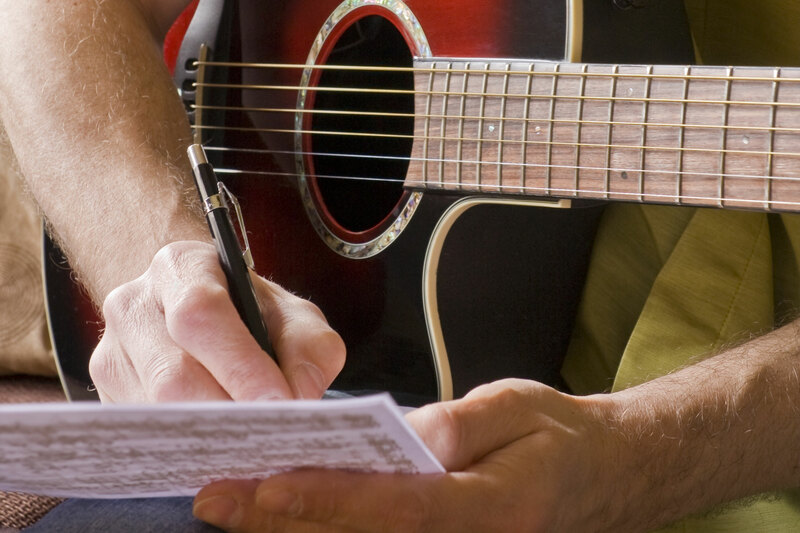 Pitching songs is quite easy, if you’re willing to go through the process of learning. Obviously I won’t give away all of my secrets, but generally speaking, there is a lot of common sense behind it. It’s a blend of psychology, organization, consistency, persistence, learning when to chill, time, and money. Sound like business as usual? Well, it is—but right off the bat, if you’re sloppy and have the writing skills of Beavis and Butthead, don’t bother. It will come out, and no one, and I mean no one will give you the time of day. This will generally define how you deal with things, and whether you are cut out to make contact with humans in general. I remember, as a green and idealistically naïve kid, attending various seminars, guest speaker events (prior to really getting into the belly of the music business), and being perplexed by the amount of totally useless advice that “panels of industry professionals” would provide. I mean if you felt that attempting to break into the music business was futile prior to arriving, upon leaving these panels, a Ph.D. in cement stirring was looking much more appealing. It wasn’t just the reality of how difficult it is to break into the business, it was that combined with the completely useless and ambiguous direction offered by those who claimed to be “authorities” on these important matters. Some examples. How would a logical person, brought in to mentor, judge music and artists after only allowing 20 seconds of a tune played? After hearing one of my songs, one radio guy on a panel said to me, “Don’t bore us, get to the chorus!” (You can hear the track in question at http://bit.ly/1duuDXH) Is that really constructive criticism? I mean The Monkees’ “Porpoise Song” doesn’t get into the chorus until1:15, and Micky Dolenz is flat on the whole tune... and it’s a masterpiece! Now I understand how radio works in trying to hook people quickly, but music is never so cut and dried. Little did he know it, but right at that very moment, that little lo-fi Electro piece he was dismissively ignoring had already been included in 200,000 MP3 players from Rio Audio, was being played on college radio, and was the song that put me in the top 10 running to play on the televised American Music Awards, sponsored by Coca-Cola... all at the same time. (But hey, what the heck do they all know?) The first 100 or so tracks I ever licensed to TV were recorded on a borrowed 4-track, while I had cancer, and later while I was receiving chemotherapy. A music supervisor at MTV heard the sound, and licensed everything. These tunes still get licensed and used all over the place even today. Another artist’s music was also played for the panel, something that sounded like it was from the ‘60s, it was quite cool. A panelist said to him, “What can I do with this? Go back and bring me something that sounds like today.” I was shocked. I thought it was one of the coolest things I’d heard in recent times, and the panelist basically judged it irrelevant. Here’s the thing. As long as you can objectively stand behind yourself with confidence, nothing these “experts” say matters. A credible person with credible ears would be able to notice something in a certain tune or artist, and make constructive criticism, not “don’t bore us, get to the chorus”. So after that I made a vow to never put myself in any sort of “judging” contest again, as I felt it literally had no value or credibility. Wow, thanks for the epiphany. Pitch it to whom and how? Thanks for the studio advertisement. So, basically, I have to spend a fortune at your studio to make it. How do I get the music to the powers that be? Can you tell me who to contact for the baby food ad, or any ad? ~ Establish your web presence, bio, etc. ~ For deeper involvement than free services, hire a credible company to send your music out. So here are five mistakes I see artists make. Yeah? Cool, how did you know what the supervisors on those projects are looking for? For all you know, they could be looking for heavy metal reggae, or Chinese polka music played on a didgeridoo. Don’t assume, because as the old adage says, when you assume... If you approach a supervisor like this, I guarantee that they will think you’re an idiot. Know who you are approaching, know what they are working on, know what they prefer (some supervisors have their own musical style/preference), learn about the brand and its past incarnations. If none of this exists, ask them if they are currently looking for content. A polite request like that can disguise prior lack of knowledge of their work... to a certain degree. This is where a credible company that knows precisely what supervisors want (because they ask rather than assuming) comes in really handy. Free stuff is fun for them, for if they love you, they’ll wear your shirt. Otherwise it’ll go to the interns, who might wear it to feel like they are in the music biz, or use it to line their dog’s bed. Don’t waste money on extra color photos, fancy paper, etc. All they care about is the music and whether this artist has anything significant behind them, to bring some kind of promo symbiosis/placement value to their company, the show, etc. I would, however, suggest sending your materials in an envelope/package that sticks out from the generic brown envelopes. When you think about it, if you have a deadline, are very busy, and need to recommend a song to someone right away, what do you reach for? You generally reach for your favorite artist out of loyalty, or something you happen to be listening to during that period of time... if it fits the producer’s/director’s request. So due to this, you have to make sure you beat out all of the rest, and of course, have the best sounding master, song, image, presentation and social networking vibe you can. Gifts are fun, but don’t go over the top with a Vespa or anything. Make it thoughtful, or a cool promo. I remember a band from the ‘90s called Moonpools & Caterpillars who had yo-yos with their logo on them. I still have mine! Plus, it helped that their album was a pop masterpiece with gorgeous art. Check ‘em out! The only response you’ll get from that method is either silence, or two words we all know so well. Approach them like a company, not an artist, and ask them what the accepted followup frequency is. Some will say that they will reach out when they have needs, but generally don’t, so following up once a month is probably fine. If you find that they don’t generally respond to anything, mail them samplers of no more than an EP’s worth of tunes every month or so. Visit the city, alert them to your presence in the city, and try to get a casual meeting in. Don’t be pushy, don’t give pathetic sob stories (you’d be surprised), and exude confidence, knowledge and speed. That will gain you respect. Send them cards on holidays, keep up with them on Facebook (without being a stalker! ), and develop things slowly. It will take time, but persistence, consistency, and professionalism go a long way, whether you are the artist, or you’re representing all of your friends’ bands. Just present yourself properly, and if that is true, someone will notice. You have to be told you are awesome—you can’t tell others that, because then you totally lose credibility. A bio comparing yourself to Bono, Jagger, Bowie, and Thor is not going to convince anyone that you are Ziggy MickThunderGod Hewson. Lose the ego and the leather pants. I have a friend who signed up with a licensing company that insisted on her paying around $3K for a college radio campaign, in order to be eligible for pitching. After her college campaign, they got her a reality show license, and then told her that she had to pay them an additional fee for them to clear the song. Blackmail extortion! Then on top of that, they told her she had to pay an additional $2K or so to be part of a conference, to further push her music to licensors. Well, she ended up spending over $6K with them, and ended up with nothing. It’s a great example, more so because she then came to my company for a fraction of the price, and ended up with something like 25 songs licensed to 12 shows all at once, in the same month. The stars do not align every day, but they do when they do. Supervisors want what they want, when they want it. As long as the package fits what they need at that time, and the quality is good, it can pay off sooner than later. The trick, though, in working with a pitching company is to learn via word of mouth who is good—they do exist and they’re out there and you can work with them—and not pay attention to message board trolls with no accomplishments to back up their opinions who play Wii all day and talk smack about everyone. As for the whole idea of asking people/companies to pitch your music for a percentage: if you’re not willing to do the work, why would anyone else do it for free? There are companies that have an automated program with thousands of tracks in them, who are paid for their service by networks, and can expose artists for free on a percentage basis. The only thing is, you’re part of a huge number of songs, may not get the personal exposure needed, and your song might get licensed for $1, of which the company then takes 50%. Can you still buy a box of Tic Tacs for 50 cents? These companies have devalued songs for licensing like you would not believe. Get into a credible system, analyze the company, and don’t assume that you are entitled to free labor or access to someone’s contacts gratis. When you have to struggle, you are more appreciative and understanding of what it takes to become truly successful. I recommend to all artists that they take control of their work, learn the ropes, and appreciate the process, because it turns them into better decision makers. It can take a long time, and yet sometimes it doesn’t. Try it yourself. You’ll learn a lot about how badly you want it, and whether you’re in it for the long haul. Eric Alexandrakis is a highly successful songwriter, producer, and recording musician. He has had several Top 40 hits on the Adult Contemporary charts, has licensed hundreds of songs for various media, and recently completed a remix of Depeche Mode’s new single “Should Be Higher”. 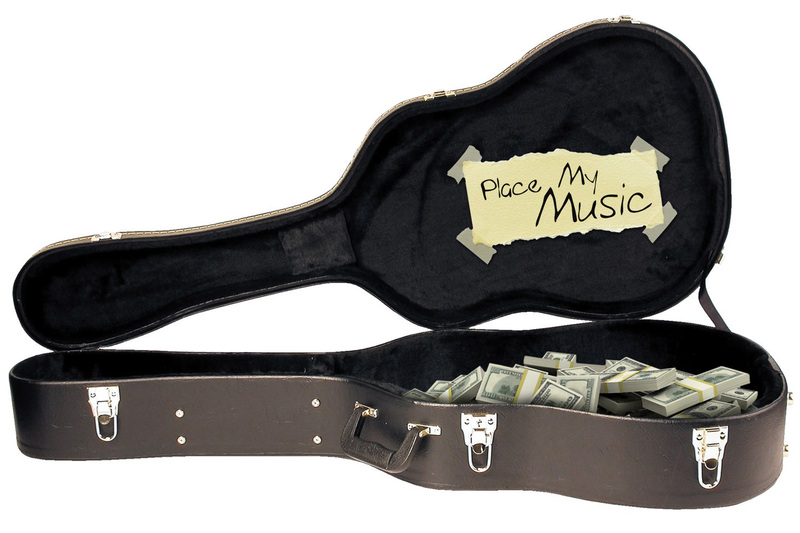 Many of the traditional income streams for Songwriters and Independent artists have changed along with an evolving New Music Industry landscape. Today, one of the most substantial and DESIRED income streams is in the licensing and placement of an Artist/Songwriters music in Film, Television, Advertising, and Video Games. These opportunities bring front-end licensing payouts, which can be LARGE, as well as any back-end royalties. The other glaringly significant benefit is that of the relationship established with the receiving company or publisher, not to mention the credibility of building a reputation through placements and credits in the real world. But how do you know if YOUR music, a sure-fire SMASH destined for radio play and blockbuster success, is appropriate for Film and TV Placement? Well today we are going to delve into some songwriting tips and optimization concepts to help you take what you have, or, use what you ALREADY know-to write new songs or rewrite existing ones which give yourself a better chance at scoring a sweet placement and handsome paycheck for your hard work. Wow. This one couldn’t be more obvious. But it’s worth stating over and over again. See one of the GREAT things about the Music Industry is that ALL the information is freely available to listen to and study. It is a good idea for you to REALLY understand what is being used out there, and WHY. It won’t take long until you have an intuitive grasp for which stuff might work for which opportunity. Once you get to this level, you will be leaps and bounds ahead of those who haphazardly submit any-ol-song to any-ol-opportunity, just HOPING that maybe something will hit. Choose one-to-three prime-time DRAMA Television shows to study for several episodes, or even for a whole season. Place a pillow case, or maybe a bed-sheet if you have a BIG-SCREEN over the TV so you cannot see, but still can hear. Watch, or LISTEN, with a notepad and pencil. Try to describe both the MUSIC, and the scene that the music is placed in. Try to be AS descriptive as you can, using as much vivid imagery and emotional detail as possible. Whether one of your songs is selected from a Music Production Library, a hand-selected by a referring 3rd party, or shopped through a song-plugger service or music publisher; Be SMART and label your songs with the person who’ll be “flipping through the pile” in mind. As Robin Frederick says – by suggesting a character, situation, or action in your title you can make your song a natural for film and tv placement. Obviously, “Track 3″ is a no-go, but for example, Hot Summer Night, is a title that would give a music supervisor or director a good frame of reference of what the theme of the song is about very easily. While watching/listening to your selected TV shows try to sum up the action, characters involved, or the situation. Also, try to name the emotions felt during a scene, in descriptive words. Everyone always harps on universal lyrics and many think that universal means VAGUE or CLICHE. It does not. Universal lyrics = Explaining the feelings of a fantastic day and using non-specific imagery and emotion. Which everyone can relate to. It’s simply a matter of getting to the heart of a specific experience or story that you are trying to tell, and telling it so that others can receive the emotional message you are trying to express. Take a song that you’ve written that was both personal and overly specific. Identify the underlying “theme,” and drill down into the emotional message. Rewrite that song with more universal lyrics so that you are focused on translating a feeling or common experience by communicating the “universal aspects” which underlie the specific elements used in the song. Your music should convey an emotional statement or deliver a vibe that translates to a feeling, atmosphere, or mood. Using major and minor chords can directly impact the mood of the song. Use this to support and enhance the message and emotion you are delivering so that it is cohesive. If you are purposefully trying to “break the rules” i.e create an defiant contrast to cheerful lyrics by creating a dark or sullen musical atmosphere, or vice versa, then only do that once you know enough to consciously do it. Until then, try to make everything work together using all the elements of your craft to express ONE cohesive emotional message or communication. Consciously be aware of, and describe IN WORDS, how the music supports the emotional message of the song. Remember, it’s ALL about communication. Now go and try these out for yourself, and be sure to tell me what you found, didn’t find… Worked, didn’t work. Let me know if this was helpful or not! Is there any other tips and ideas you’d like to add or expand on?